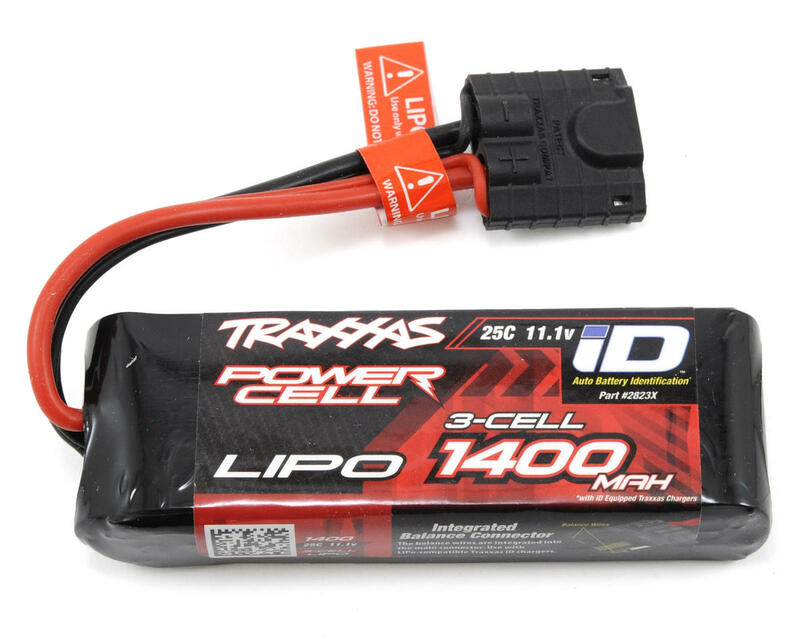 This is the Traxxas 3S, 11.1V, 1400mAh, 25C "Power Cell" Li-Poly Battery Pack with iD Traxxas Connector. 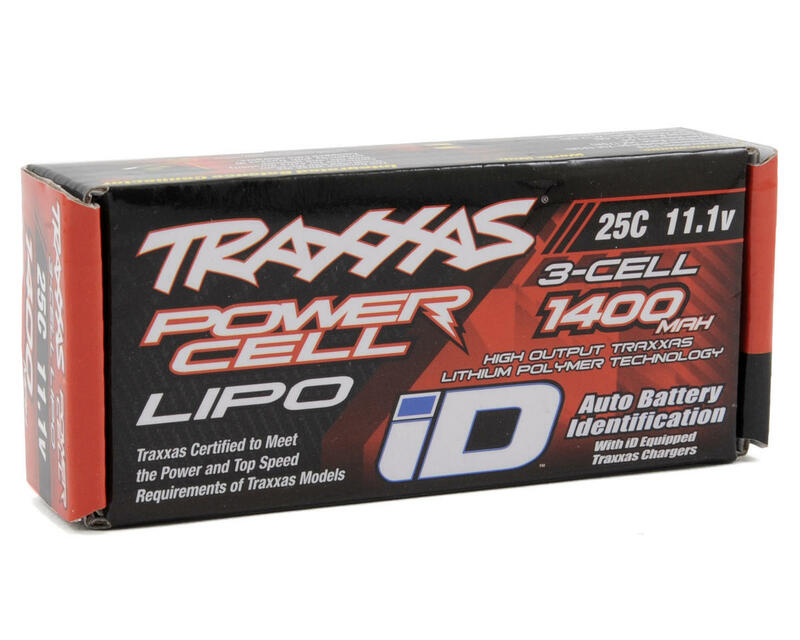 This battery requires a Traxxas iD equipped LiPo charger to balance-charge! If you have the right gears this battery will make the little e-revo so fast its very hard to control. It can also break the e-revo really fast. Still very fun! Be careful.